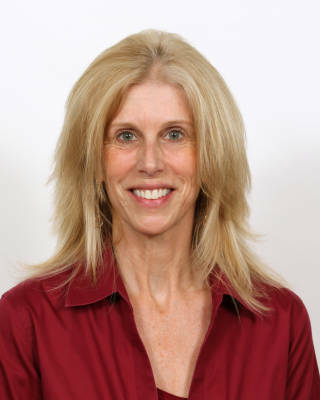 Pamela L. Perrewé (Ph.D.) has spent her entire career at FSU and is in her seventh year as the Faculty Athletics Representative to the NCAA and the Atlantic Coast Conference (ACC). She served as the President for the ACC during the 2015-16 academic year and currently serves on the Progress-Toward-Degree committee for the NCAA. Dr. Perrewé is the Robert O. Lawton Distinguished Professor, the Haywood and Betty Taylor Eminent Scholar of Business Administration, Professor of Management, Professor of Sport Management, and Distinguished Research Professor at Florida State University. She received her Bachelor degree in Psychology from Purdue University and her Master and Ph.D. degrees in Management from the University of Nebraska. Dr. Perrewé has focused her research interests in the areas of job stress, burnout, coping, mentoring, organizational politics, emotion and personality. Dr. Perrewé has published numerous books, over 70 books or book chapters and over 135 journal articles in journals such as Academy of Management Journal, Journal of Management, Journal of Applied Psychology, and Organizational Behavior and Human Decision Processes. She holds Fellow status in the Society for Industrial and Organizational Psychology, the American Psychological Association, and the Association for Psychological Science. Dr. Perrewé has maintained a commitment to her profession as well as to Florida State University for over 30 years, and she has won teaching, mentoring, and research awards at Florida State University. She has taught at the undergraduate, MBA, and Ph.D. levels. Further, she has served as the Management Department Chair as well as the Associate Dean for Graduate Programs in the College of Business. She has a passion for all sports (especially at FSU) and enjoys playing tennis and competing in local fitness events. She has served on the Athletics Board since 2004 and she has chaired the Athletics Board since 2011. She is married to Dr. Gerald R. Ferris and together they have six children; Erin, Jennifer, Emily, Ellie, Stephen and Matthew, two granddaughters, Lily and Olivia and a grandson, William.